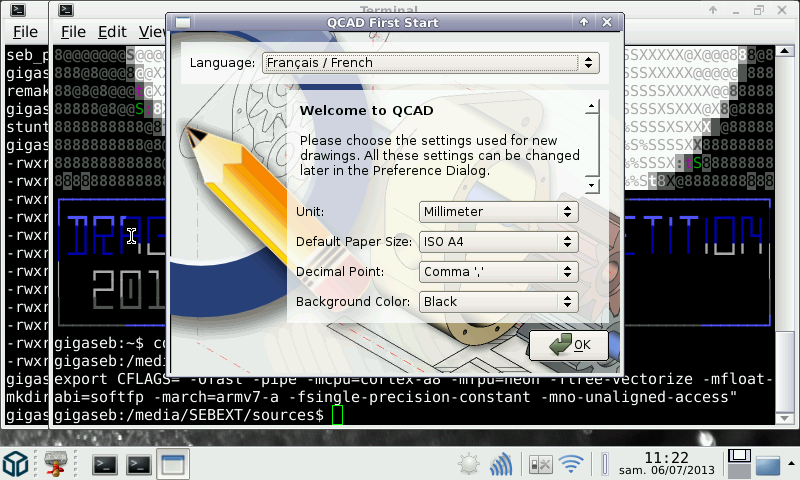 QCAD is a free application for computer aided drafting in two dimensions (2d). With QCAD you can create technical drawings such as plans for buildings, interiors, mechanical parts or schematics and diagrams. 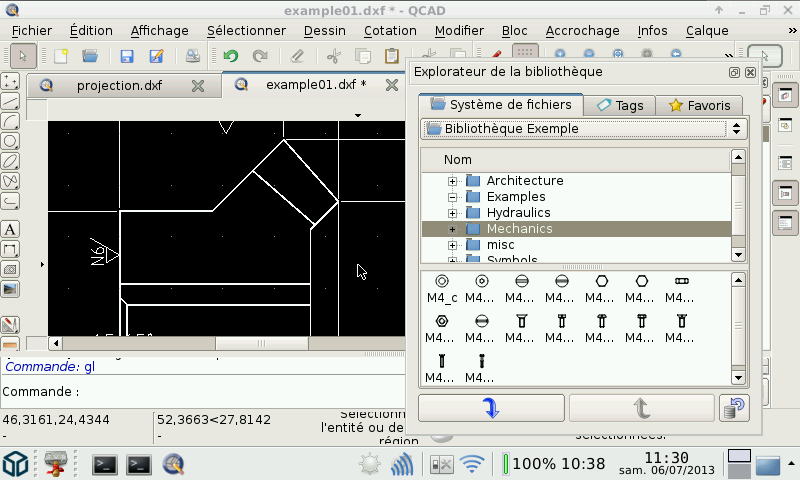 QCAD works on Windows, Mac OS X and Linux (and now Pandora). The source code of QCAD is released under the GPL (Open Source). 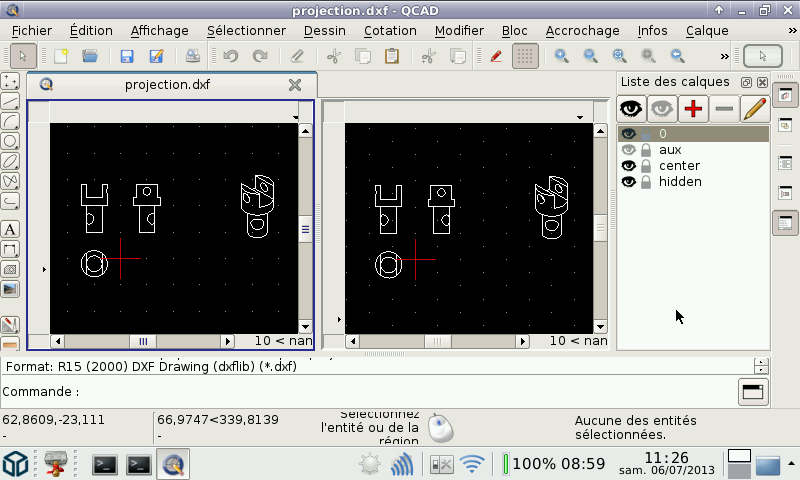 QCAD is a fully functional 2D CAD software, featuring localization in many languages, a large library of object. It use QT (and with OpenGLES2 hardware). You should go in the Edit|General Preference to change icon size to 16 pixel to gain some space (many are at 32 pixel by default, and even 48 pixels). * Updated libs (now using Qt 5.7.0). Very good. Don't be put off by the preview pics showing French menus and dialogues - That's just ptitSeb's setup. Just need to find something to design now!